D Shaone Morrisonn (Kamloops, 1999-2002) has signed a one-year extension with Admiral Vladivostok (Russia, KHL). He had two assists in 11 games there this season. Morrisonn started the season with Medveščak Zagreb (Croatia, KHL), scoring twice and adding four assists in 33 games. He was traded to Admiral on Dec. 25 for cash considerations. . . .
F Igor Bacek (Tri-City, 2005-06) has signed a one-year contract with the Hannover Indians (Germany, Oberliga). This season, with Halle (Germany, Oberliga), he had 20 goals and 31 assists in 44 games. He led his team in assists and points. The OHL-champion Erie Otters spun a few records on Monday as they drubbed the QMJHL-champion Saint John Sea Dogs, 12-5, at the Memorial Cup tournament in Windsor, Ont. . . . The Otters improved to 2-0, while the Sea Dogs fell to 0-2. . . . On Tuesday, the WHL-champion Seattle Thunderbirds (0-2) are scheduled to play the Sea Dogs. 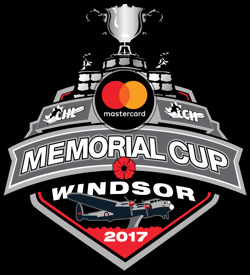 The winner moves into a semifinal game; the loser is eliminated. . . . On Wednesday, the Otters will meet the host Windsor Spitfires (2-0). The winner moves into Sunday’s final; the loser will play in the semifinal game. . . . There won’t be a tiebreaker game. . . .
Last night, Erie held period leads of 5-2 and 4-1, outshooting the Sea Dogs 17-4 and 16-8 in the process. . . . The Otters got four goals and three assists from F Dylan Strome, with F Taylor Raddysh adding two goals and four assists. . . . D Darren Raddysh scored two goals and had two helpers, with F Anthony Cirelli and F Alex DeBrincat each scoring once and adding three assists. . . . F Ivan Lodnia and F Kyle Maksimovich also scored for the Otters. . . . F Cedric Pare scored twice for Saint John, which got singletons from F Julien Gauthier, F Spencer Smallman and F Mathieu Joseph. . . . G Tony Timpano stopped 18 shots for Erie. . . . Saint John starter Callum Booth surrendered five goals on 14 shots in 16:27. Alex D’Orio came on in relief and stopped 18 of 25 shots in 43:33. . . . Erie was 5-7 on the PP; Saint John was 0-3. . . .
Strome set a single-game record with seven points. That broke a record that had been shared by three players — F Joe Contini of the Hamilton Fincups, in an 8-4 victory over the New Westminster Bruins on May 12, 1976, in Montreal; F Guy Rouleau of the Hull Olympiques, who did it twice, in a 7-5 victory over the Portland Winterhawks on May 10, 1986, and six days later in a 9-3 victory over the Kamloops Blazers in Portland; and F Mike Mathers of the Blazers, who did it in an 8-3 victory over the host Seattle Thunderbirds on May 16, 1992. Rouleau had three goals and three assists against Portland, and two goals and four assists against Kamloops. Contini and Mathers each had three goals and three assists. . . .
Strome scored four goals, one off the single-game record that was set by F Bruce Boudreau — yes, that Bruce Boudreau — of the Toronto Marlboros in a 10-4 victory over the Sherbrooke Castors on May 9, 1975, in Kitchener, Ont. . . .
Erie now holds the single-game record for most goals, a mark that had been shared by the Quebec Remparts and Regina Pats. Quebec beat the St. Catharines Blackhawks, 11-3, on May 10, 1974, in Calgary. The Pats dumped the Cornwall Royals, 11-2, on May 8, 1980, in Regina. . . . Erie and Saint John also set a single-game record with the 17 combined goals. The previous record? The host Kitchener Rangers beat Kamloops, 9-7, on May 13, 1984. . . . OHL teams now have won 12 straight Memorial Cup games. . . . Announced attendance: 5,114. Terry Koshan of the Toronto Sun has a game story right here. He also spoke with D Ethan Bear of the Seattle Thunderbirds, who is trying to play through a hand injury. The host Cobourg, Ont., Cougars won the RBC Cup as national junior A champions on Sunday, beating the AJHL-champion Brooks Bandits, 3-2, in overtime. . . . The Cougars forced OT when Ryan Casselman scored with 1:07 left in the third period. . . . Nick Minerva of New Brunswick, N.J., won it all at 8:21 of OT. . . . According to Tyler King, the radio voice of the Bandits, they were 72-6-6 this season. . . . Cobourg had advanced to the final with a 3-1 semifinal victory over the BCHL-champion Penticton Vees on Saturday. Jason Christie won’t be back for a third season as head coach with the ECHL’s Tulsa Oilers. The team announced Monday that Christie “has decided not to return.” . . . The Oilers were 64-67-9-4 in two seasons under Christie, finishing ninth in the Western Conference in 2015-16 and 11th this season. . . . Christie, 48, holds the ECHL record for most career coaching victories (547). He also has been head coach of the Peoria Rivermen, Utah Grizzlies, and Ontario Reign. . . . A native of Gibbons, Alta., Christie played four seasons (1986-90) with the Saskatoon Blades.